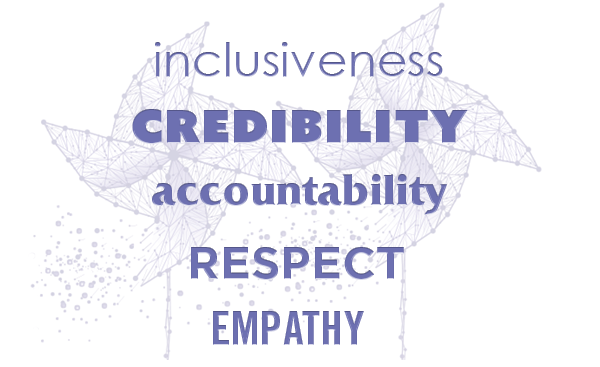 Our I-CARE values are paramount in nurturing INCLUSIVENESS among all clients, CREDIBILITY in our tested programs, ACCOUNTABILITY with outcomes-based practices, RESPECT toward all served, and EMPATHY for every inquiry and interaction. Our approach to the new year will be no different, whether providing safehousing, legal advocacy, counseling, sustainability services or preventive education. DVCC’s team of staff, volunteers and community partners are committed to striving for new heights in fulfilling our mission. 2018 welcomed the next chapter for DVCC leadership with new Executive Director, Kevin Shippy. Thank you friends, community partners, supporters, volunteers and staff for a successful 2018, with some highlights below. We now look to 2019 and the opportunity to make an even greater impact on the future together. 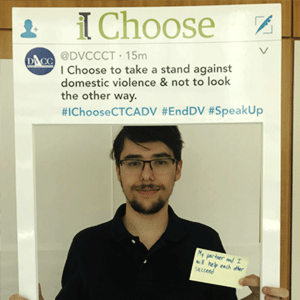 In 2018 DVCC provided direct services to 3,789 individuals (unduplicated), and shared tools with an additional 17,715 students and youth groups to recognize best practices for healthy relationships and manage the challenges domestic violence presents. We received 2,131 HOTLINE CALLS this calendar year. 71 volunteers provided 8,425 hours throughout the year to many disciplines including reading, tutoring and general play with children in the safehouses, weekly legal clinics, courthouse advocacy, financial education classes, computer training, resume building and interview prepping, planning committees, board leadership and the many hours of staging, fluffing and folding to create the winter wonderland shopping experience for the holiday bazaar, just to name a few. In early January we took full residency in our newly acquired, 15 bed Stamford safehouse, making DVCC the largest provider of safehousing for victims of domestic violence in the state of CT. Assisted CT Coalition Against Domestic Violence (CCADV’s) leadership in realizing the passage of CT State Bill 466 on May 14, 2018, which mandates the identification of a primary aggressor for domestic violence arrests, thus reducing CT’s high percentage of dual arrests (DVCC cannot provide its services unless a clearly defined victim is determined). 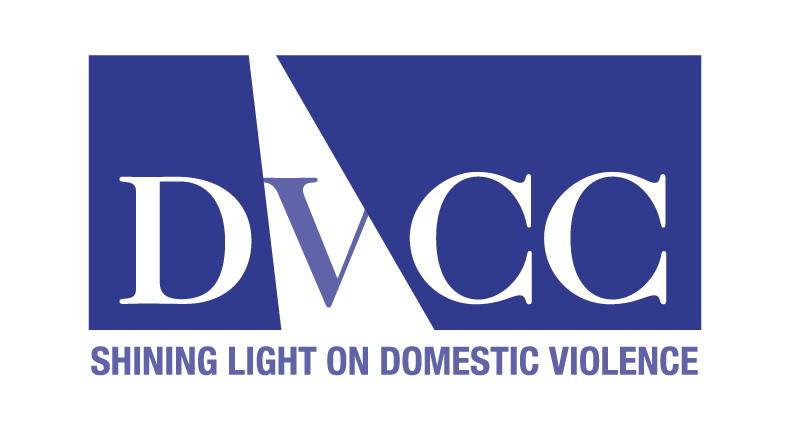 DVCC launched the Brave Wings Emergency Fund, designed to provide one time financial support to a DVCC client in our services that will measurably improve their extraordinary circumstances toward clearly emancipating her/him from their abuser. This year’s Spring Luncheon engaged 447 guests with keynote speaker, Jackson Katz, global thought leader and expert on the role of men in preventing gender violence, and recognized Jennifer McNamara, chair of the Wilton Domestic Violence Task Force with the 2018 Voices of Courage Award . The signature fundraising event also generated the highest revenues in its 17-year history. DVCC migrated to a new client management database, ETO. In October we hosted the inaugural Domestic Violence Task Force Summit, convening task force and future task force members from our seven neighboring service communities to make introductions and share best practices as part of October’s DV Awareness month. Also in October, DVCC’s 17-member Advisory Board met with the purpose of serving as an external strategic body to recommend solutions to challenges, and facilitate community connections to further the mission of the organization. DVCC hosted the inaugural HarvestFest at the Fairfield County Hunt Club on November 3, and honored retiring board member Denise Mangano with the Kathy Kincaid “Putting Others First” Award for her many years of board and volunteer service. The event also kicked off DVCC’s annual appeal to help fund the organization’s comprehensive suite of programs. Norwalk Mayor, Harry W. Rilling , announced that the Domestic Violence Crisis Center will receive proceeds from the 2019 Mayor’s Ball. Launch of a newly designed website www.DVCCCT.org which will soon be mirrored in English and Spanish, EsperanzaCT. 2 nd Annual Holiday Bazaar —In the spirit of helping clients “own” their family’s gifting, and thanks to the generosity of many community partners and friends, we invited DVCC clients to “shop” for the holidays (see images below), where we distributed gifts to nearly 400 adults and children. 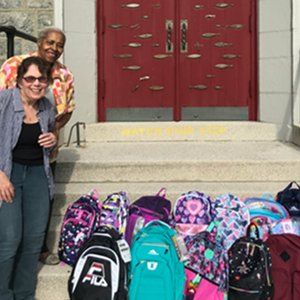 The “Back to School Backpacks Drive”, thanks to St. Andrews Episcopal Church in Stamford, provided clients and every safehouse student with new backpacks for the school year filled with school supplies. 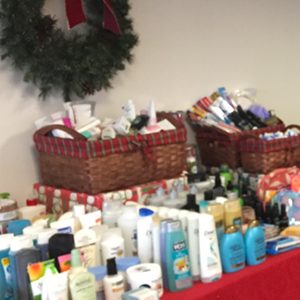 Unilever donated an array of beauty products for client “shoppers” to select at the 2 nd Annual Holiday Bazaar. The Norwalk Police donated several satchels of toys and gift cards for all ages. L-R Michelle Hayball, DVCC volunteer, and Boardie Kurz, DVCC Development Director, with NPD Sargent Sofia Gulino and Officer Cesar Ramirez. 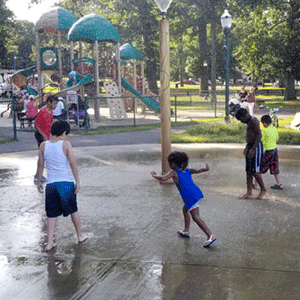 Scenes from the DVCC Support Group Summer Party in the Park. 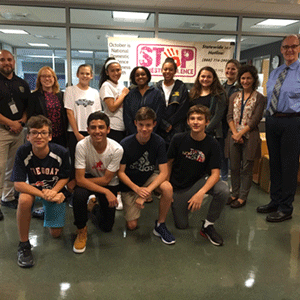 Weston Team PeaceWorks following a program recognizing October DV Awareness month. DVCC participated in the Jordan Porco Fdn’s “Fresh Check Day” as part of UCONNs effort to build awareness of campus and community mental health resources. Lieutenant Cabana has 13 years with the Westport Police Department. She is Administrative Lieutenant as well as Public Information Officer of the agency. In addition, Lieutenant Cabana is co-chair of the Westport Domestic Violence Task Force. She holds a Bachelor’s of Science Degree in Criminal Justice- Investigative Services from the University of New Haven and a graduate certificate in Public Administration from Southern New Hampshire University. She holds a Master of Science degree in Justice Studies. Susan Filan is of counsel with Cohen and Wolf, P.C in their family law group (Westport). Prior to joining Cohen and Wolf, Ms. Filan was an MSNBC senior legal analyst, an NBC News legal analyst and a Connecticut state prosecutor. She has appeared on many major TV networks, sharing her insights on a variety of high profile trials. The past several years, Ms. Filan was in private practice where she focused on matrimonial law and criminal defense, as both litigator and mediator. Donald R. Schels is the Associate Principal at Wilton High School. An attorney and educator, he practiced law for 7 years in New Jersey, where he also sat on the Board of the Fair Lawn Mental Health Center. He then taught history for 13 years and is now in his 6th year as an educational leader. Mr. Schels read history and law (B.A. ; J.D.) at Rutgers, American history (M.A.) at Columbia and is now writing the dissertation for a doctorate in education policy at Fordham. Kimberly Sheehan brings almost 30 years of experience in the pharmaceutical industry, most recently in Human Resources. She is currently Director of Human Resources- Field at Insmed Inc. Kimberly has a Master of Science in Human Resource and Technology from Rensselaer Polytechnic Institute, and a Bachelor of Science in Human Resource Management from Salve Regina. 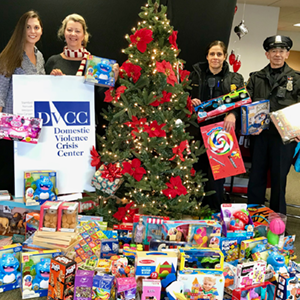 DVCC MISSION: To provide effective services, support and education for the prevention and elimination of domestic violence across Connecticut and beyond.